Our client provides an in-flight broadband internet service on U.S. domestic flights allowing passengers to use their laptops or PDAs and enjoy a true high-speed internet experience - from full-on web surfing, to real time e-mail with attachments, streaming video, transferring large fi les, and accessing corporate VPNs. For domestic operators flying in the continental U.S., this in-flight internet is the logical choice for true high speed connectivity in flight, providing passengers virtually all of the same internet capabilities they are accustomed to on the ground. Our client offers industry’s largest selection of network services to give wireless operators a true choice in connectivity solutions for passengers flying on an aircraft. It is the only company to offer high-speed data capabilities to business aircraft operators over more than one network. Our client network utilizes the latest 3G mobile wireless technology, operating in the continental U.S. over an advanced network of ground stations and its exclusive air-to-ground broadband spectrum. 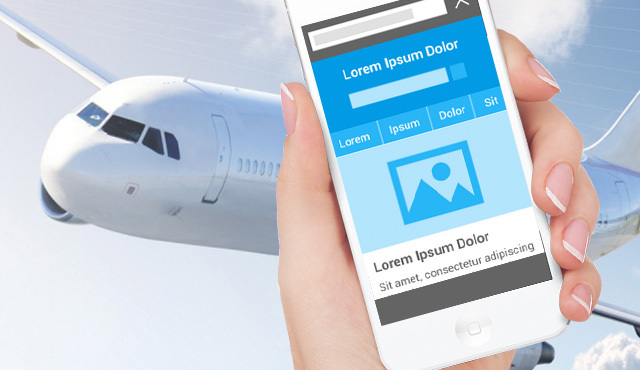 Our client already had a web application for providing its in-flight services. Our client was looking for a solution that would allow their users to access these services through native mobile applications. The objective was to build mobile applications for BlackBerry and iPhone users. Our client’s vision for the native application was to provide connectivity to Wi-Fi in an easier manner. 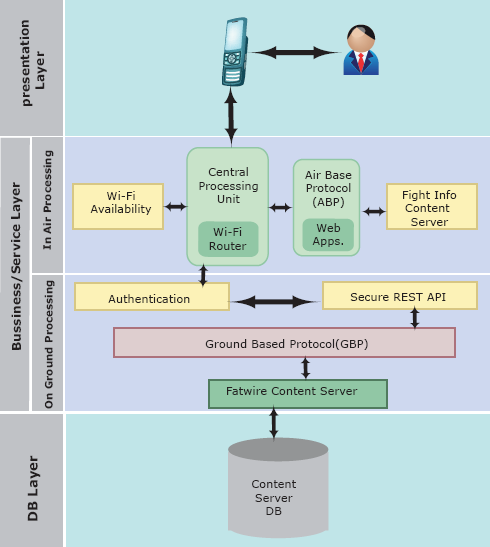 Our client’s infrastructure for enabling internet connectivity in the airplane consisted of a server located in the aircraft cabin, so that the users can connect with the server via Smartphone. This server connects with the ground based services for authentication and then provides the internet service for such authenticated users. The internet service is distributed throughout the cabin via a Wi-Fi system. Our client was looking for a partner who will understand the demands of a fast growing successful technology company, had the expertise in developing, porting and testing cross-platform mobile applications. The partner company was expected to have demonstrated experience in development of mobile application on BlackBerry and iPhone platforms. Xoriant, with its Mobile Centre of Excellence, multiple successful engagements in the areas of mobile application development, technology leadership in mobile and very effective price performance was selected as a technology partner. Xoriant’s Mobile Centre of Excellence comprises highly skilled engineering team with ample experience in working with multiple clients in a similar engagement. The team has successfully leveraged its deep domain knowledge, technical competency and mature processes to deliver end-to-end solutions and services to a host of clients across geographies in the mobile space. Xoriant’s team worked closely with our client to understand the requirements and created an engagement roadmap. As our client’s current solution was already being used by millions of users, it was important for the Xoriant team to come up with scalable, modular and secure architecture for mobile application. Xoriant recommended use of secure API based REST architecture and modular development pattern to easily extend the development to multiple BlackBerry devices like Curve, Bold and Pearl series. Xoriant was involved in the entire SDLC process of building the native application from requirements gathering to sustaining product support. Our team made special eff orts to learn about the specialized Wi-Fi equipment used by our client to be able to configure it properly to simulate the cabin based server. Our team also established a secured connection between the local QA environment and client’s test simulator to facilitate near-perfect replication of in-flight conditions. All the applications are compatible with App Store as well as BlackBerry store standards. Our team also helped our client in the submission process. Detect active Wi-Fi connection using the existing Reachability APIs. The client network broadcasted a valid range of IP address on their Wi-Fi network. Xoriant’s solution enabled our client to off er seamless user experience for the customers coming from web portal to state-of-the-art native phone applications (iPhone, BlackBerry). Xoriant teams used our proprietary ‘Xoriant Smartphone Accelerator’TM (building blocks providing a well tested and feature rich set of components) to help speed the application development process. 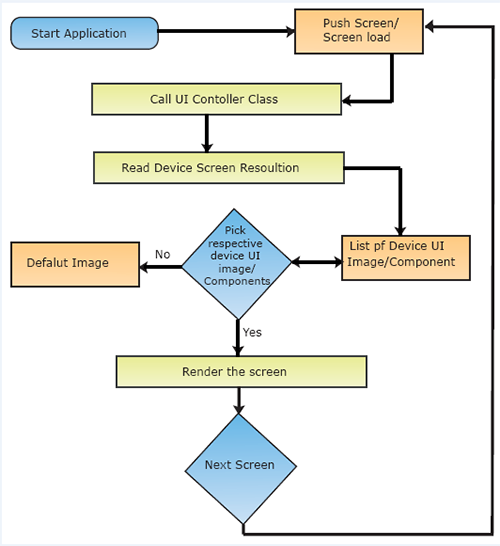 These included components like Networking, UI widgets for iPhone & BlackBerry platform. Xoriant teams suggested better usage of BlackBerry & iPhone APIs by saving customer credentials for a better user experience. We suggested design of stubs to simulate the in-flight services environment. Since our client wanted a single application for multiple BlackBerry devices, Xoriant team designed a program which dynamically decided the sizes of all UI components & backgrounds relative to the device screen. This program then intelligently picked the correct set of images based on these controls. Xoriant’s Smartphone App AcceleratorTM allowed the team to add the basic mobile phone functionalities in 40% less time and have more time to focus on innovative features. These Xoriant proprietary frameworks also ensure rapid development of subsequent mobile applications. Xoriant’s experience in designing, developing and obtaining approval of iPhone and BlackBerry applications at their respective stores significantly accelerated our client’s timelines. Our client was able to get good traction for the application that was submitted in both the stores. This in turn helped our client in building a larger user base for their internet services. Xoriant’s proficient engineering team has enabled us to deliver a robust product within the aggressive release schedule. They also showed a great deal of adaptability within their stringent QA process to ensure an error free release. I would like to acknowledge the remarkable efforts of all Xoriant team members for making this project a Great Success. In-flight connectivity made available to passengers wherein they can browse and access internet through the mobile app created for Blackberry and iOs platforms. Building a test environment to simulate in-fl ight conditions. 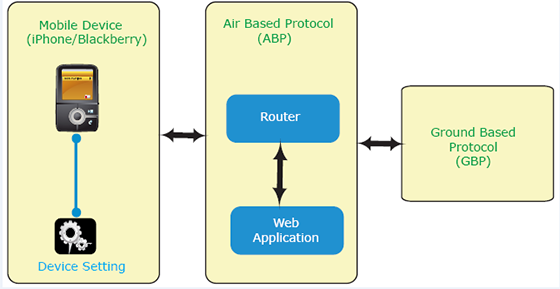 Automatic detection and setting precedence of client network amidst all available networks.